As a leader, your virtual team looks to you as a source of motivation for their work. It’s up to you to set the vision for the team, inspire them to take action, and help them stay engaged with a project all the way through to the desired conclusion. Motivating a virtual team can be difficult, even for experienced managers. Our global economy has shifted from the mechanical (or labor based) economy of the past to an economy focused on creativity and high-level knowledge-based work. Rather than working as a part of a production group in a factory, many of the most valuable employees in our economy do creative or analytical work as a part of a virtual team. Our methods of motivation need to shift too. It’s not really about the money. 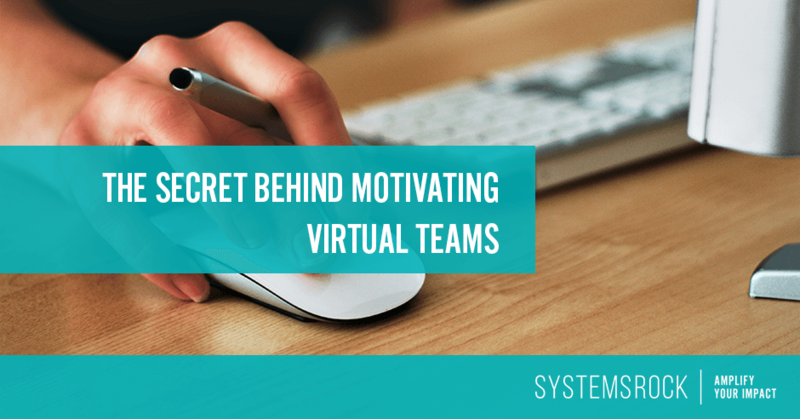 In the world of virtual teams, motivation isn’t really all about the money. Oh sure, members of a virtual team are often highly compensated, but money is no longer a primary motivator – particularly among knowledge-based workers. While we expect to be paid fairly for our effort, motivational tools like bonuses or incentive-based income really don’t motivate us anymore. As the leader of a virtual team, it’s important to pay people fairly – and pay them enough to take money out of any discussion of projects or productivity. But, it’s not helpful to promise increased monetary reward in return for more (or better) creative work. Why? Because money simply doesn’t inspire us creatively. A recent study by Harvard University found that we are increasingly motivated from within…and when we are left alone (autonomy) to work and allowed to get better at what we do (mastery) we become much more engaged in the mission of our work (purpose). Given these results, how can you motivate your team? Create an atmosphere of independent efficiency. Give your team the freedom to work the way they choose to, in the manner that is most efficient for them. How do you do this? Use systems to provide a structure for the work. Then step away…and let individual team members work freely within the structure you provide. Let each team member honor the way he or she works best – within your system of course – and avoid the type of interference that tends to limit creativity. Allow your team to create personal efficiencies in their work. Focus your efforts as a leader on sharing your vision for the project while praising the results your team provides. Give feedback on the quality and substance of the work, and not on the way the work was created. Treat your team members as valued experts and encourage them to bring their best effort to the work. Ask open-ended questions about the work and encourage your team members to share thoughts and ideas freely with one another. Give guidelines for the work, but allow as much freedom within those guidelines as possible, and encourage team members to innovate. Provide tools and resources team members can use to make the work more efficient, and look for ways for the team to collaborate together to solve problems. Create an appreciative organizational culture. A little gratitude goes a long way toward motivating your team. Be generous and sincere with your appreciation and praise…and encourage everyone on your team to do the same. It’s up to you to lead by example. Take a moment to thank team members for their work and praise them both privately and in front of other team members. Consider creating intentional traditions around gratitude and praise. Try a special Friday focus on praise or a practice of “catching people doing good work” that would fit your team dynamic and foster an aura of celebration. Find ways to build celebration into all you do together. Be sincere and generous in your praise, thanking team members for hard work, creativity, and innovation. Provide praise privately and publicly when possible. 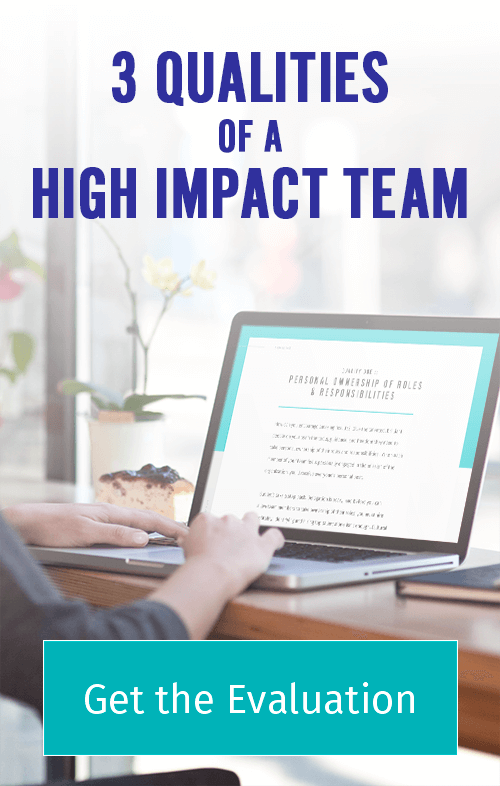 Highlight the ways individuals exceeded expectations during a project or time period where the team achieved a goal or delivered results for a client. Celebrate individual excellence publicly with the team. Share client praise and gratitude with the team, highlighting how the action of individual team members impacted your clients. Give team members incentive to stay engaged with your mission. We work hardest when we have a compelling sense of purpose and understand how the value our work contributes to the end goal. The mission of your organization provides purpose and direction to the work of the team. It also gives meaning to the work of the individuals within your team. The vision you share as a leader is the fuel that keeps your team inspired and engaged. Discuss the mission of your company. Intentionally look for moments when you can talk about the impact of your work and express your gratitude for the effort your team brings to the tasks at hand. Help your team connect with the purpose and mission of your work together. Allow them to work autonomously and efficiently as the experts they are. Generously share your gratitude so they feel appreciated and valued. These are the secrets to effectively motivating your team.